Cal begins the podcast with a question of his own posed to Celeste. 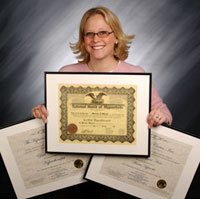 Which training material has helped her the most in her profession? Celeste answers with the Banyan Online Supervision Meetings set. She and Cal discuss the benefits of this set and Celeste shares her personal experiences. Celeste then brings up a question from Jason Linett, a hypnotherapist in Alexandria, VA.
Jason has just recently taken on two additional hypnotherapists to work in his office and he is wondering if the price structure he is paying them is conducive to growing his business. 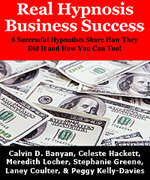 Cal goes on to discuss a myriad of business building topics like: internships, the Banyan Star Business Model as discussed in Real Hypnosis Business Success, graduated commission structures, referrals and more. The most helpful training material according to Celeste Hackett — The Banyan Online Supervision Meetings set, "BOLSM CD Pack" as Celeste calls it. CONGRATULATIONS Les Sutch and Franke Pharoah! 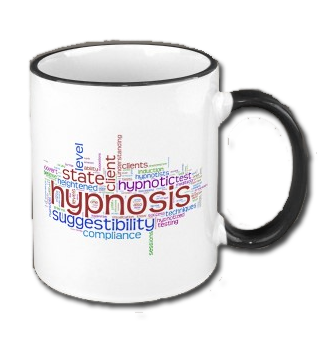 You are the winners of a FREE Hypno-Mug! You have 30 days from the publishing of this broadcast to contact us either via email or phone to claim your mug. Excellent episode! Thank you so much, especially for the details! Thanks to Jason Linnett for putting the question out there. Thanks for a great episode. I’ve got to agree with Celeste that the BOLSM CDs are worth their weight in gold. I’ve reviewed the entire set (and some parts more than once…. More than twice!). I love hearing Celeste’s questions because it reminds me that she was once new just like me, and with time and practice, I can continue to grow just like she has. I wanted to pipe in on part of the discussion about hypnotists getting their clients to come back and complete the process. I’ve had a few frustrations with this recently- some were on me. I could have been better, done better, etc., but other times it has been the client’s own “getting in the way,” as I call it. It seems there are clients that I wish I could do forgiveness of self with right off the bat because of this getting in the way. I’m really working to instill in my clients that it’s a process and each session is part of that process as we work our way through, but I’ve had a few people lately who I haven’t been able to come and complete 5PATH, which is such a disappointment because I know how much it will help them. Any advice on this, I sure would appreciate- maybe it’s something to tackle as a topic in the future, but I thought I’d throw the question/comment here because it was related to the topic of the show. Cal and Celeste! I absolutely love this content! Every week I listen and learn! Thanks so much! Thanks for writing. I just checked and found an audio link. Email me if you continue to have problems.